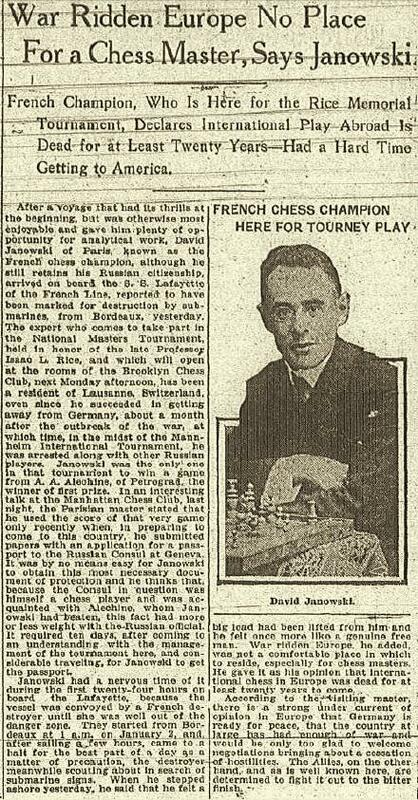 ‘Even at New York, 1924, the masters agreed that for the first four hours of play Janowsky was equal to any player in the world.’ So declared the obituary of Janowsky on pages 28-30 of the February 1927 American Chess Bulletin, which also stated that around the first few years of the century he ‘was the strongest player in the world’. Without going that far, Capablanca wrote in My Chess Career that Janowsky had been ‘one of the most feared of all the players’. 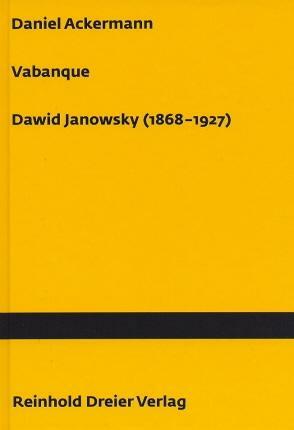 In Diario de la Marina of 20 April 1913 the Cuban mentioned that Janowsky’s best period was ‘around 1902’. A prime characteristic of Janowsky’s playing style was its sheer energy, not to say restlessness. Little more than 20% of his tournament and match games were drawn. 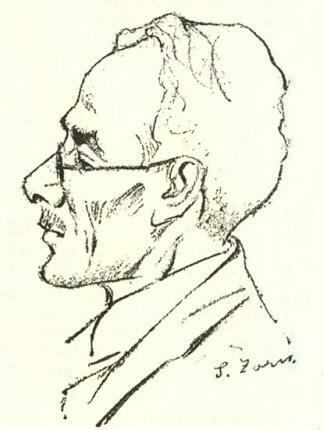 ‘Il n’est pas dans mon tempérament d’attendre’, he once declared (BCM, June 1909, page 261). 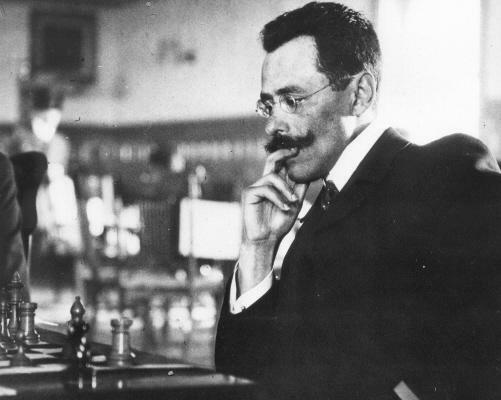 His temperament has, in fact, attracted far more attention than his games or results yet he was, for instance, the only master apart from Tarrasch to beat the first four world champions, Steinitz, Lasker, Capablanca and Alekhine. In all, he scored a dozen victories against them. Today, few brilliancies from his long career are kept alive, and only one book has been devoted to him, published in Russian in 1987. [See the Afterword below.] 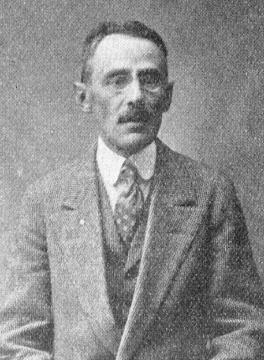 His country of origin (Poland) has done no more for his memory than have his adopted homelands (France and the United States). 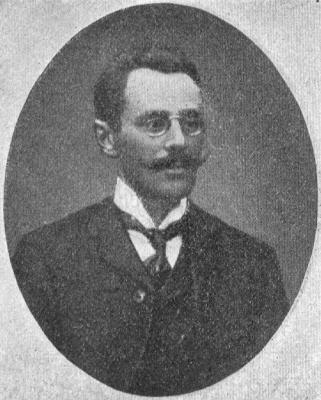 Dawid Markelowicz Janowsky (born 1868) was the last of the unsuccessful challengers for Lasker’s world championship title (Berlin, November-December 1910, a severe defeat). 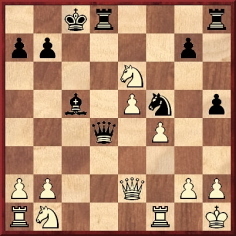 It is, or should be, well known that the two players’ ten-game match in Paris the previous year had not been for the world title, contrary to the assertions of such historical analphabets as Jonathan Speelman (The Observer Review section of 19 April 1998, page 13). 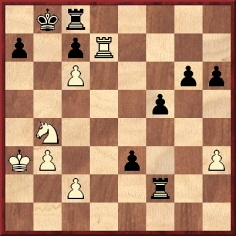 In that same article Speelman gave a position from a familiar game in the match, and wrote, ‘I had never seen it before’. The position was incorrect. 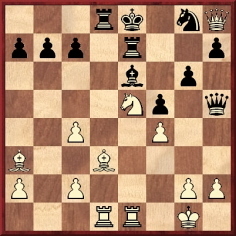 From a knight’s odds game between D. Janowsky and S. David, Paris, 1891 or 1892. 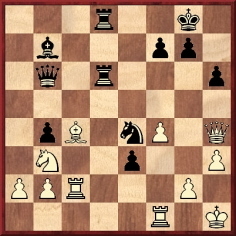 19 Bxg7+ Kxg7 20 Rxh7+ Kxh7 21 f6+ Kh8 22 Qh5+ and mate in two. Source: Deutsche Schachzeitung, February 1892, pages 50-51. 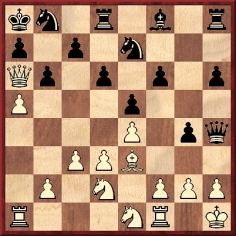 Play went: 16 Qxa7+ Kxa7 17 axb6+ Kb7 18 Ra7+ Kc6 19 Rxc7+ Kb5 20 Nc2 (20 c4+ would have saved a move.) 20…Nec6 21 c4+ Ka6 22 Ra1+ Na5 23 Nb4 mate. Source: Deutsche Schachzeitung, May 1892, page 152. 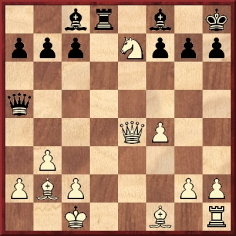 1 Nxg6 Qxg6 2 Bxf5 Qxf5 3 Qxg8+ Bxg8 4 Rxe7+ Kf8 5 Rxd8 mate. Source: Deutsche Schachzeitung, November 1893, page 345. 1…h4 2 Nxd4 Ng3+ 3 hxg3 hxg3+ 4 Kg1 Bxd4+ 5 Rf2 Bxf2+ 6 Qxf2 Rd1+ 7 Qf1 Rh1+ 8 Kxh1 Rxf1 mate. Source: BCM, September 1894, page 355 and November 1894, page 452. 1…Bf5 2 Nxf5 Qd2+ 3 Kb1 Qd1+ 4 Bc1 Qxc1+ 5 Kxc1 Ba3+ 6 Kb1 Rd1 mate. 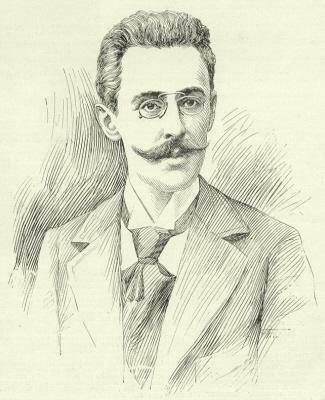 Source: La Stratégie, 15 April 1898, page 118. 29…Rg6 30 Kh2 Nd2 31 Rg1 e2 32 Qxd8+ Qxd8 33 Rxd2 Qxd2 34 Nxd2 Rxg2+ 35 Rxg2 e1(Q) 36 Re2 Qh1+ 37 Kg3 Qg1+ 38 Kh4 g5+ 39 Kh5 gxf4 40 Re5 and Black mated in three moves. Source: La Stratégie, 15 November 1898, page 344. 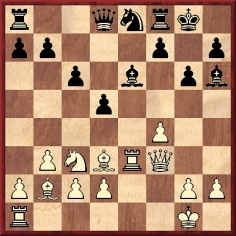 Typically complex Janowsky play, although various short-cuts would have been possible (31…Rxg2+, 33…Qh4 and 39…Qg3). 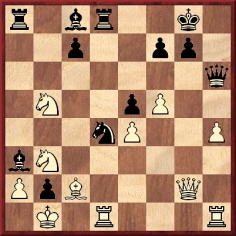 Janowsky was White in this position from a game at the Manhattan Chess Club, New York. 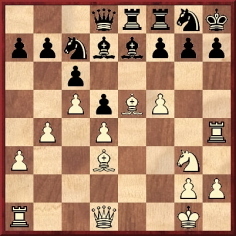 He played 1 Na6+ Ka8 2 Nxc7+ Kb8 3 Na6+ Ka8 4 Rb7 e2 5 Rb8+ Rxb8 6 Nc7 mate. 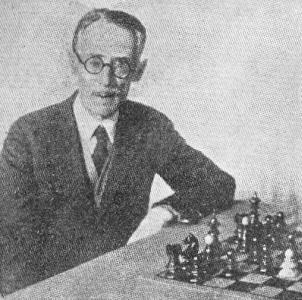 Source: American Chess Bulletin, March 1918, page 69. 18 f5 d4 19 fxe6 fxe6 20 Qh3 Bxe3+ 21 dxe3 dxc3 22 Qxe6+ Kh8 23 Bxc3+ Ng7 24 Rd1 Qe8 25 Qh3 Rd8 26 Qh6 Rd7 27 h3 b5 28 Rd2 Kg8 29 e4 Qe7 30 Kh1 Qc5 31 Bb2 Nh5 32 Kh2 Rdf7 33 Be2 Nf4 34 Bg4 Qb4 35 Rd4 Qe1 36 Rd7 Rxd7 37 Bxd7 Rf7 38 Be8 Qxe4 39 Bxf7+ Kxf7 40 Qxh7+ Ke8 41 Qh8+ Kd7 42 Qd4+ Qxd4 43 Bxd4 a6 44 g4 Ke6 45 h4 and White won. Source: BCM, October 1897, pages 395-396. Janowsky played four games simultaneously against teams of three players. Source: La Stratégie, 21 September 1904, pages 263-264. Latest update: 5 May 2012.